This is a fairly desperate plea to see if you, our faithful supporters, can keep supporting us and maybe find more people to help with the support! The Tree House is thriving on its own terms – selling books, creating marvellous friendships, providing a friendly space to hang out in the centre of town, putting on lovely events that are very much enjoyed and occasionally well-attended… We have a full programme of films, music, craft group, reading evenings, mindfulness courses, art history lectures and more. The music events have been wonderful and packed out, our open mic events are also well supported, the mindfulness course this term is over-subscribed, the art history lectures get weekly audiences of 10-20 people, the needlecraft group is growing. The films are not well attended, but the few who come seem to enjoy them very much, and we’ve watched some wonderful films. However, the finances are a struggle. Rent and rates are high – we need around £1800 a month to pay those two bills alone, then there are our utilities on top of that, occasional accountant’s fees and other expenses. I am working here six days a week and from three to five evenings a week, and really need to be paid to do that – only because I need to pay my own rent and bills too! I would love to do the whole thing on a non-commercial basis – it is intended very much as a community venture – but that is not realistic. I keep it as non-commercial as I can (to the exasperation of some friends! ), but we do need to meet our overheads if we are to survive. We are constantly in danger of not meeting them, despite the way the venture as a whole is growing and strengthening in terms of community and bookselling and promotion of the arts as a means of enriching our souls and our communal lives. That’s the basic thrust of what I want to say. If you want more detail, read on; if you just want to see how I am suggesting you might be able to help, jump to the How can you help? bit! There are simple things people can do, not all of which involve spending money. The community that has grown up here, and continues to develop, is just fabulous. More and more people are coming in and discovering us and are often surprised to find such a lovely place. There are seats to sit in if you’re tired, an ever-chuntering urn for making tea and coffee for just £1, and an atmosphere of calm in these bookish surroundings, with occasional music or cricket commentary or Radio 4 Extra to add some excitement. We are now struggling with the finances, though, which may just mean that our venture is not viable, or we have to change it to something more commercially focused. We are in the process of trying to change our status to a social enterprise, or Community Interest Company, which would bring some financial benefits, but we have an immediate need if we are to pay the rent over the next couple of months. This is not so much a begging message as a way of being open about what’s happening and suggesting ways that you can help if you feel you would like to. Some are simple and don’t involve you spending any money, others do involve a bit of financial expenditure, but we have always worked on the principle of lots of people giving a little as our main means of functioning. We are not a charity, but when we can afford to we give what we can to charity. After much deliberation, we will be supporting the Alzheimer’s Society and Mind, as charities that do so much to enrich the lives of those suffering from mental illness, disability, impairment and degeneration which is such a dark side of our society, and something which literature and the arts can do a lot to help with. There is lots of potential. On the strength of the success of the art history courses, I would like to set up a sort of Lifelong Learning programme of short courses, dayschools and one-off lectures on other arts subjects as well as art history (literature, film, philosophy, history, etc) and am seeking out suitable people to teach. We still want to bring more in the way of literature to the town – we’ve had some lovely poetry evenings, which we will continue, and have plans to do more with fiction and other forms of writing, including nature writing. 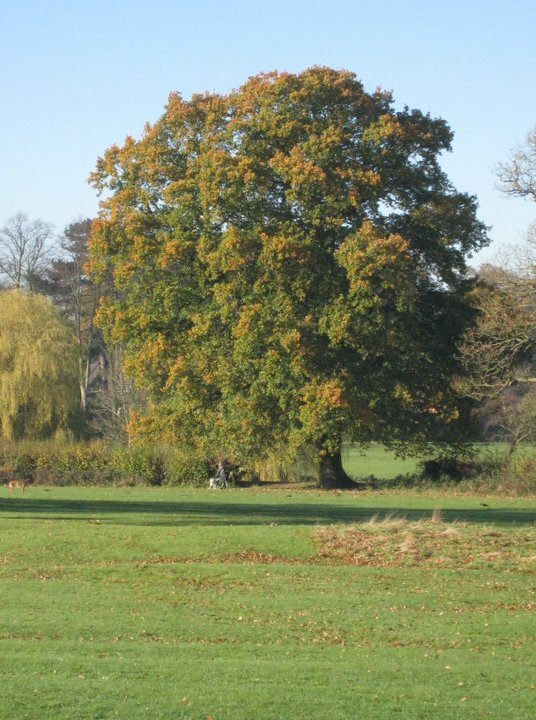 We are hoping to be very involved in next year’s Kenilworth Festival, which will have a clear focus on the arts. We can branch out into some literature-related cards and gift items if we find the right products. We are going to set up online book selling, which we should have done ages ago, but there is only so much time in the day. There are now more people regularly involved, which will make all these things – and more – easier; and will also make coming up with creative ideas easier, as we pool our imaginative resources! So…if you would like us to continue (yes, it is coming to that level!) and would like to support in some way, do read on. Spread the word about our events (as well as our books!). Share our Facebook posts if you are Facebook, retweet if you’re on Twitter, join our mailing list and read and forward our emails. Join our membership scheme – for any amount per month from £5 upwards, by standing order, you get a voucher (posted out to you) to spend on books for the full amount. Try one of our events – especially our films, which are lovely! And only £3 including tea/coffee. We have a mixture of old classics, foreign language films, music-based documentary type films (the kind of film that’s hard to categorise! ), and some more general films but ones you don’t tend to see on television. Join our mail order book club or recommend it to a friend who doesn’t live in or near Kenilworth. Or buy a subscription as a birthday or Christmas gift. £5 a month for one book, £7 a month for two. Buy books! A paperback book is cheaper than most cups of coffee in a cafe, much cheaper than a magazine, half the price (or less!) of a pint of beer, and a book a week is a healthy habit to develop! And second-hand books make great presents and stocking-fillers. People shouldn’t mind if the corners are a bit worn – we are too fussy these days. Become a patron by giving £3 a month to support our enterprise. It will give you a lovely warm glow, worth far more than £3 a month. Get in touch if you want further information about any of these things. If you have read this far – thank you! 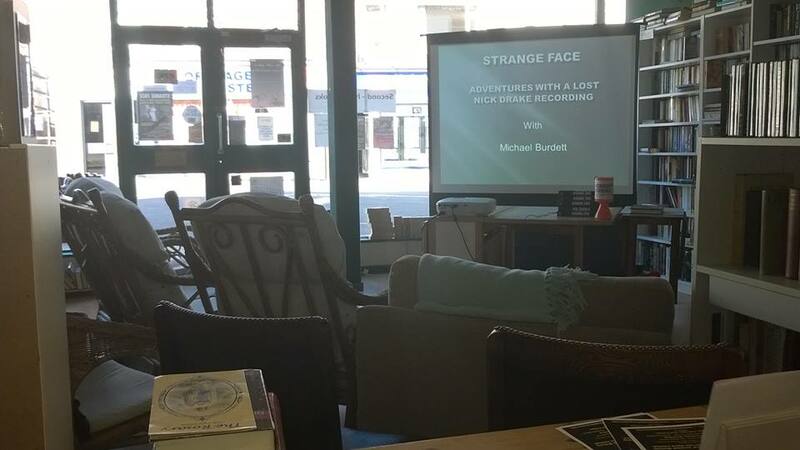 The Strange Face Project: adventures with a lost Nick Drake recording, with Michael Burdett. The bookshop was packed – took this as we were setting up, too engrossed to take photos during the event! I generally don’t really know what I’m going to say when I start writing these daily scribblings, other than a general sense of a theme, so I am liable to get carried away at times. I had no idea where yesterday’s entry was going, but in the end it was cathartic! Today I am thinking about some of my ideas for developing things further at the Tree House, having already written a little about what is already going on. Part of what I think I need to do is to build on those things we are already doing – especially the films, which I think could be really popular (I still don’t really understand why they aren’t more popular than they are, given that the only other place to see films regularly in Kenilworth is the Talisman Theatre), but I also want to build on the success of my art history lectures. So there will be a bit of a marketing push for the films, and the possibility of two films a week (Sunday afternoons and Thursday evenings) to provide some variety. We always aim to show films that are not easy to see elsewhere, including foreign language films and other things that don’t get shown on television very often, and we are also showing some music documentaries (The Last Waltz, 20,000 Days on Earth, 32 Short Films About Glenn Gould so far, and Don’t Look Back, about Bob Dylan’s 1966 tour of England, coming up soon) and when these run out there will be another genre to replace them. As for the lectures – my plan is to expand these and bring in people to give talks and workshops on other arts-related subjects. I would love to use the Tree House as a base for a sort of Lifelong Learning programme, perhaps using Sundays and Mondays and a weekday evening to provide a variety of fascinating lectures and short courses taught by people with some academic experience and expertise. We have a screen and projector and room to seat 20-30 people comfortably, so the search is now on for some lecturers – some emails already sent out, and more to send. 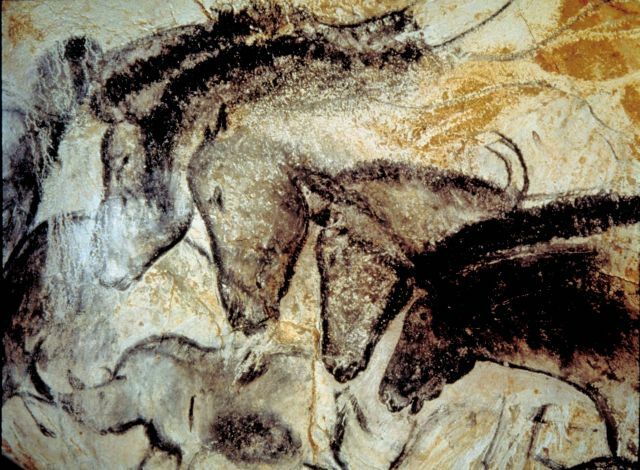 In the meantime, there will be lots of art history in the New Year! Including a course, as opposed to standalone lectures, and the course will include notes, discussion sessions, suggestions for further readings, perhaps even a gallery visit or two. Being little more than an hour away from London by train means the fabulous riches of the National Gallery and V&A are within easy reach for a day trip. I have been tentative about our live music evenings, as in the past we have rarely made any money from these, and at times have lost money – we want to have professional musicians play, and with small audiences it can be hard to raise enough money to pay the fees such professionals deserve. But with the help of online ticket sales, our last three gigs have been sold out, and we realise we can fit in another five seats, and get 40 people in for our music events. If we can sell all those tickets, we can pay our fabulous musicians and keep a little for our own needs. So as word is getting out about how enjoyable these evenings are, we are getting more emails from people wanting to come and perform, and I feel confident about putting music events on a little more frequently, maybe two a month. Another exciting development for Kenilworth is that two friends, Lewis and Charlotte, who run our open mic nights, have set up an arrangement with Kenilworth Castle and are organising folk events in the Stables there, following the success of the Blair Dunlop concert at the Kenilworth Festival in September. On that note, we hope to be even more involved in the Kenilworth Festival next year. But this initiative means that Kenilworth should become known on the folk music map as a great place to perform, and that can only help us! Our open mic nights mentioned there, the Treehouse Sessions, are always wonderful, though numbers are down on where we were in the old premises. These are run, as I say, by Lewis and Charlotte and not by me, but I am always trying to think of how I can make these events even more popular. The atmosphere is always wonderful, mainly because of the group of regulars (performers and audience) who are just so friendly and supportive of each other and welcoming, and that’s what makes the evenings so lovely. The array of local talent has been wonderful to discover, including a strong contingent from Warwick University during term times, but there is always room for plenty more. 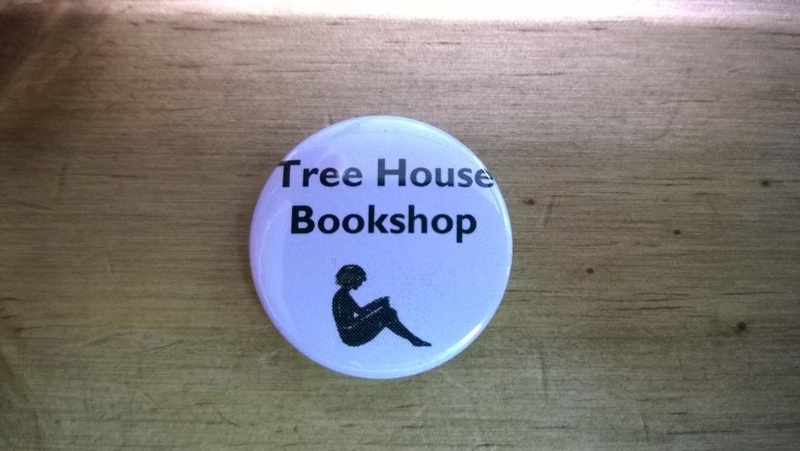 We charge £2 to everyone, including performers, but that is fully redeemable as a book voucher for the Tree House. We are planning some Christmassy things – we will be open late on the night of the Christmas lights switch-on in Warwick Road, and will be offering a lucky dip (wrapped books for adults and for children of different ages) and hope to have some local handmade Christmas decorations for sale, and I am thinking of other things we can do. We were hoping for live music, but I think we will be too close to the radio stage by the clock tower for that to be feasible! We will also be offering Advent Books – 24 children’s books individually wrapped for children to open each day in December up to Christmas Eve. But the main thing is to find ways to raise about another £300 a week – which may sound a lot for a little enterprise like ours, but I think the potential is definitely there, especially now that our reputation is spreading beyond Kenilworth. Building on what we already do will undoubtedly help, but I am also working on some other events and activities. I need to promote our new Mail Order Book Club (surprise books in the post every month, so people anywhere in the UK can be part of the Tree House!) and need to start selling books online – we should have been doing that already, but it’s never too late to start! So – lots to think about, lots of marketing to do, ideas to put into practice, and various projects large and small to work on. In the meantime, our book sales are healthy and remain and will always remain the key area of income as well as the focus on what we do, so I will also keep working harder on making our book stock and displays the best they can be – I am indebted to my faithful friends for helping out with this! The question I am most frequently asked is, How did you come up with the idea for the Tree House? It’s a slightly long-winded answer. 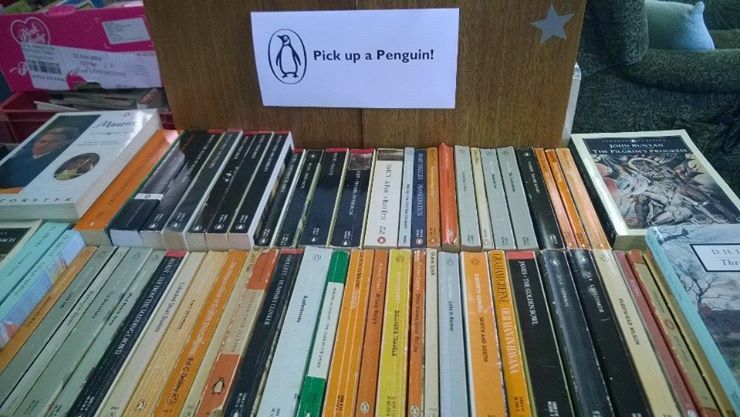 I have always thought it would be nice to run a second-hand bookshop. There is nothing in particular that I’ve ever wanted to do, I’ve had no particular ambitions or dreams and have largely drifted through things. I wanted to do a PhD, and did it. Other than that, paid work is for me simply a means to an end, not an end in itself. But I was doing freelance work as a lecturer and getting fed up – one or two big contracts had come to an end for different reasons, and I was tired of short contracts, uncertainty, constantly having to be evaluated by half a dozen different jobs, and more things besides. 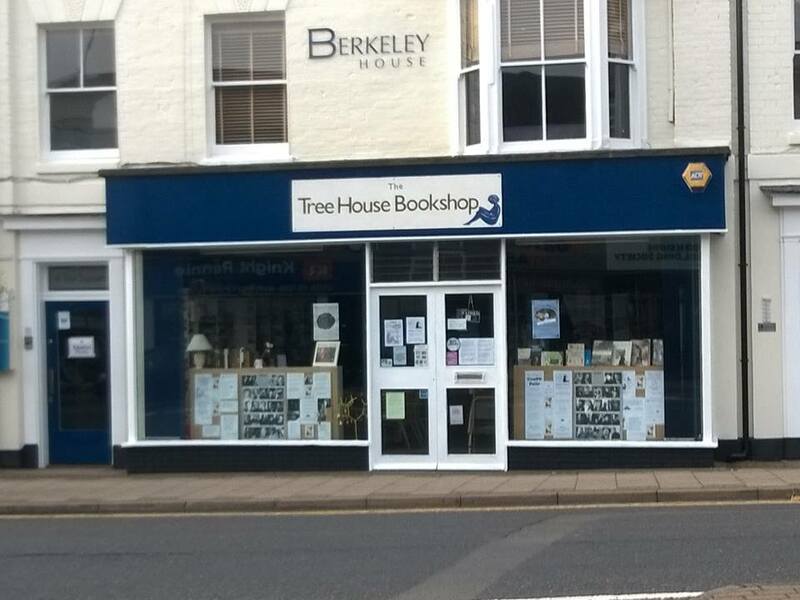 I was working at Warwick University library, and a colleague there, who was a good friend, asked me what I really wanted to do – so I told him that the only thing I’d ever thought I’d particularly like to do was to own a second-hand bookshop. So he suggested I just do it. It was essentially his idea to make it into a community space, however, with arts events and a non-profit ethos. What we have now is quite a long way from what we both envisaged at that stage, but while he was involved for a while, that came to an end and things have inevitably developed in a different way. You can also never predict where something will go once you have set it in motion – when people are involved, there is always a dynamic that is unpredictable, and the development has been organic. That’s the short answer! There have been various constraints, mostly financial. But right from the start there has been an enormous level of generosity, material and spiritual, from family and friends, including Facebook and Twitter friends around the world whom I have never met. I am not a businesswoman and never will be – I still don’t really understand what I am doing on that level! It is a straightforward operation in business terms though. The basic motivation has always been to use literature and the arts as a means of drawing people together – creating, enhancing, enriching community. I have a very strong belief in the importance of literature as a key component in a civilised society and as something that can deepen our connections with each other and our understanding of the world we live in. While all sorts of things go on at the shop now, I am keen to restore a focus on literary events and literature as an impetus. Not to replace the things that happen, which are part of our community, but I don’t want the literary emphasis to get lost. Eventually I will be more selective about the books we stock, rather than taking anything and everything as we do, and specialise in some way, but until we have the capital to put into buying books, that can’t happen. The bookshop as a bookshop is still very far from what I would like it to be. The books do provide the bulk of our income – I haven’t worked it out properly, but a quick estimate would suggest that around 80% of our income is from the books. When I started out, people were sceptical about second-hand books as a commercial thing, but I always knew there was a market. I have visited many successful second-hand books in my time, and was in touch with various shops around the country via social media, and have never agreed with the view that e-readers will cause the death of the book or the bookshop. There is so much that is not available electronically, and never will be. One of the joys of second-hand bookshops is the excitement of the unexpected – never knowing what you might find nestling on the shelves amid the more famous or contemporary books. We often get old books on mathematics or engineering, long out of print and never likely to be reprinted in any form, and they sell. We get old novels that were popular in their day but again are not likely to be resurrected now, and people love them – whether through nostalgia or through the physical appeal of an older book or because a title catches their eye or for some other reason, but they find a new life in new homes. I have stolen ideas from the internet, such as the blind date with a novel, where we wrap books and add a very brief description, just a few words – or sometimes no description at all, so that anyone who doesn’t know what they want to read or just fancies a little adventure can take pot luck. Energy has been a big problem for me. I have lots (and lots) of ideas, and people suggest things all the time, but I don’t always have the mental, physical or creative energy to put these ideas into practice. I’m working on it! The books are clearly the heart of what we do, but the events and activities are what makes it what it really is. Live music is always very special; I always have the sense during a gig that some of the magic from the musicians works its way into the walls and remains part of the bookshop long after the musicans have left, creating a cumulative atmosphere within the physical space. The film evenings are a joy, once the equipment is set up and the lights switched off and we are sitting with our cups of tea enthralled by the flickering of the screen. I am sad and a bit surprised that we don’t attract more people to watch films, I thought that would be popular, but we rarely get into double figures. Those who come seem to enjoy it a lot, though, and I’m still hoping that the numbers will swell a little. So from that conversation at the helpdesk at the university library, a venture has grown that, despite its shortcomings and as yet unfulfilled potential, is providing a space where the arts can be enjoyed for relatively little money and by anyone who cares to drop in. Books, music, films, art history are the staples; crafts, mindfulness, tea and cake are also now firmly part of the routine and the magic. This has been a bit prosaic, but I wanted to start with some of the more descriptive stuff, and eventually I will wax a little more philosophical about the nature, the impact and the future of the Tree House.